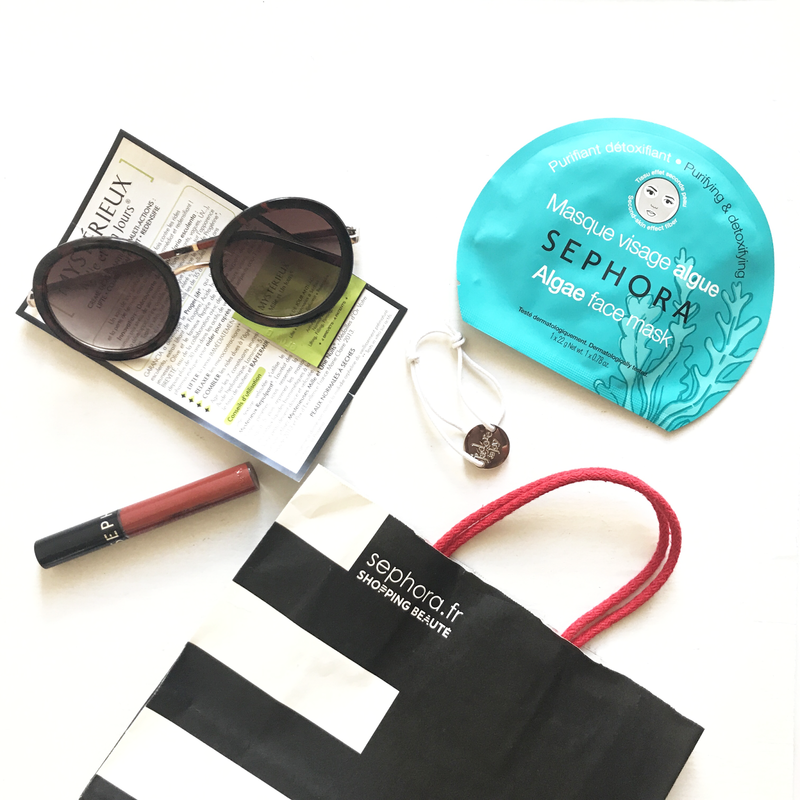 What I purchased from Sephora in Marseille and the reasons why I didn't purchase more? So this post is just one of those chit chat post about my visit to France in March and is probably one of the reasons that I haven't posted the travel post on it yet but I will get around to that. I have been so excited to visit France because of Sephora for a long time all of my friends have been raving about it and I have heard so many great things about it on social media and seen so many photo's of skincare and makeup products from there so I could not wait to go there. Both me and a friend visited the Sephora in the shopping centre and we were so excited to buy quite a lot of things so we were looking at everything and the security was walking around the shop. At first I didn't think anything of it because I am use to there being security here in the UK until I realised that the security was just following only me and my friend to the point he even stood nearly next to me while I was looking at something. And even if I thought it was all in my head my friend noticed the same thing, so we both looked at each other and just decided to go because it was making us extremely uncomfortable. Even when going to the tills we saw the security come and stand to the side of the register and was just watching us and upon leaving he stopped my friend and said to her he saw a perfume in her bag. She was like "huh what perfume" then when she looked it was her personal perfume that she brought with her. So he probably looked in her bag when she went into her purse to pay the lady at the till. (which the security proudly confirmed to my friend).Apart from being extremely annoyed we were both in shock. He then later said she wasn't allowed to bring perfumes in the shop. I have to say I have been to many shops and countries in my life and I have never experienced anything like this and it even made me uncomfortable going into shops in the UK because of that for the first few days back. I love Marseille its a beautiful country but to be treated like that as a consumer is absolutely appalling. So the positives of my visit to Sephora is the Algae Face Mask which is for purifying and detoxing and I cant wait to try it and a really nice Sephora liquid lipstick that I will do some swatches on my instastories the colour is beautiful. I can probably get around to using them now that I am not so upset about it anymore. This is not my usual type of upbeat positive post but as a blogger I pride myself on being extremely honest about everything that I write on here with my readers the good and the bad. I have no hard feelings on the brand Sephora itself its just unfortunate that my first experience was far from pleasant. Have you visited Sephora?What are your favourite products from Sephora?